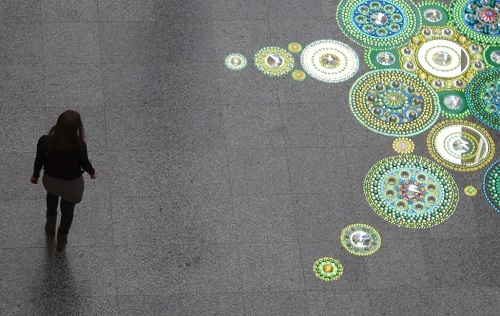 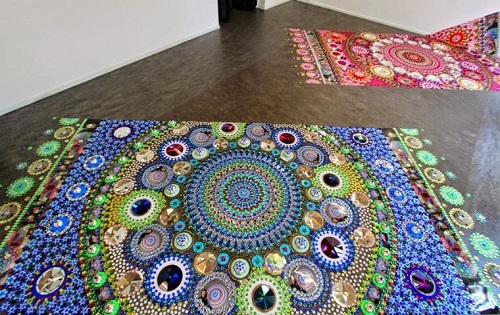 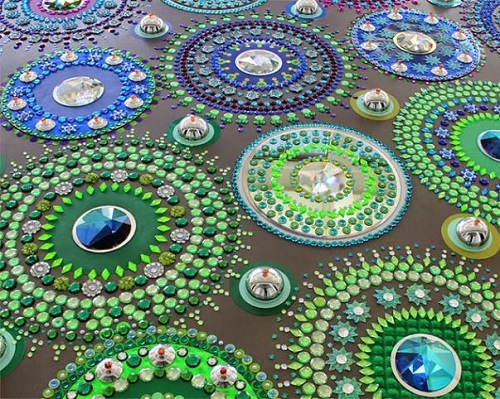 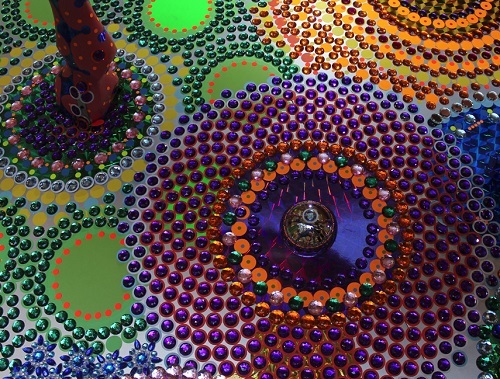 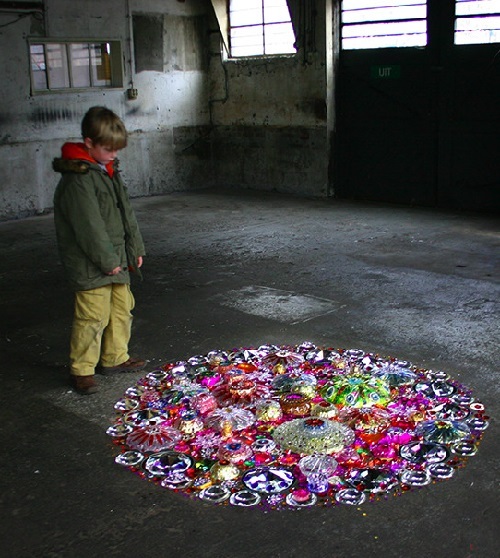 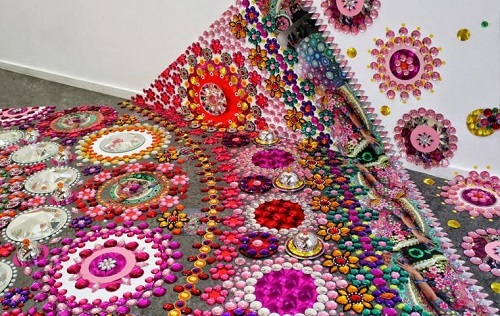 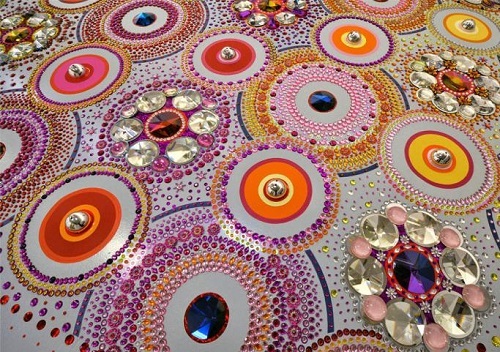 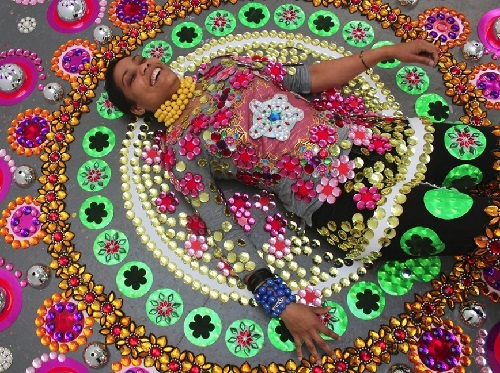 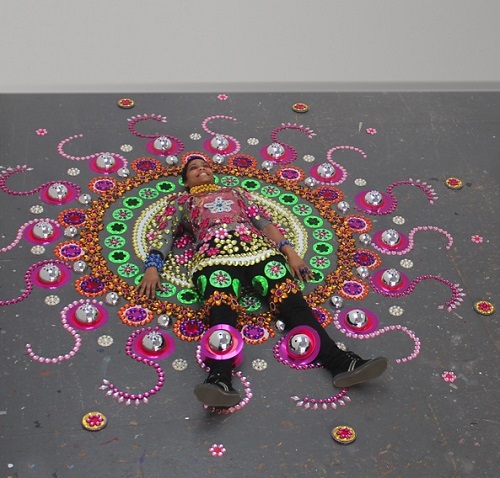 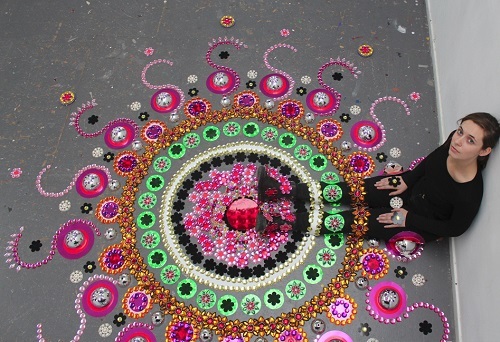 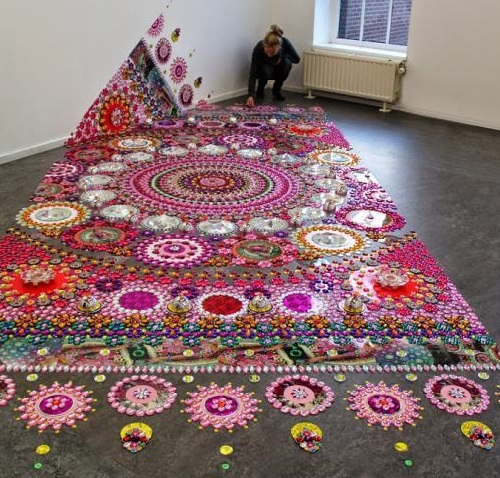 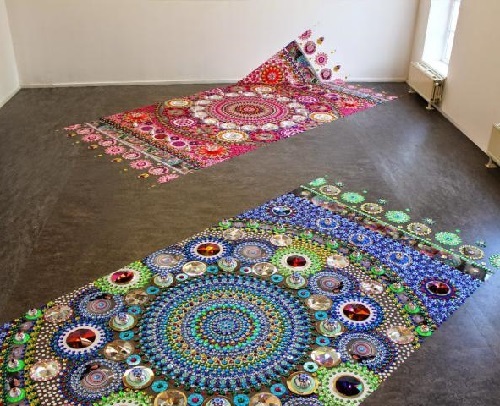 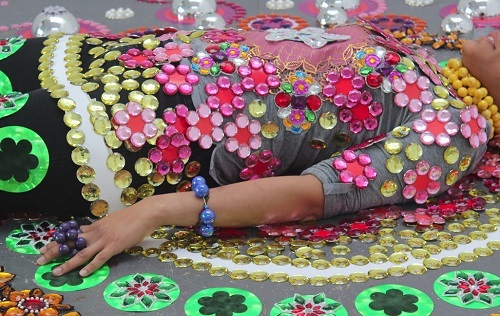 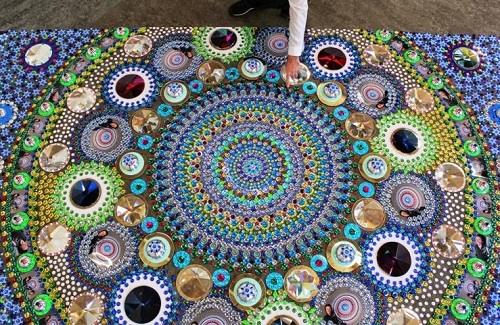 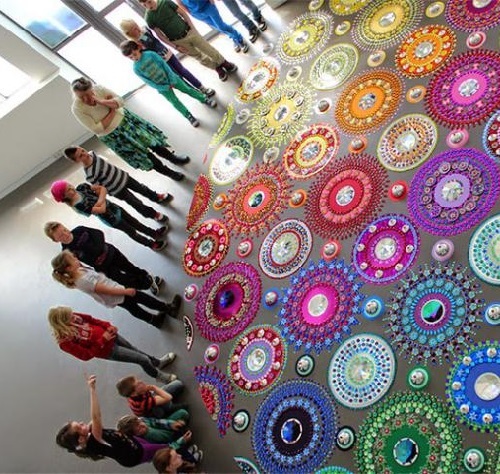 Dutch artist Suzan Drummen has created a series of sparkling Kaleidoscope installations on the floor. 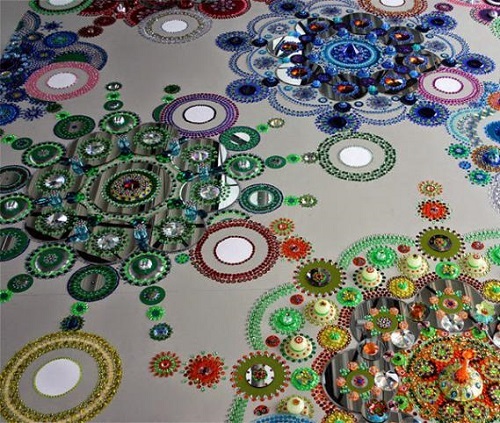 Using mirrors, crystals, chrome-plated metal, optical glass, and precious stones, the artist has portrayed whole outdoor decoration. 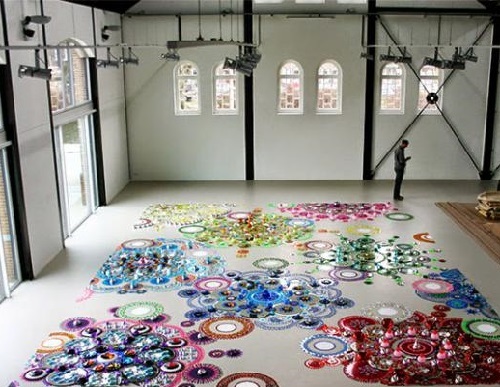 Each of the thousands of items stacked by hand and in the right, premeditated order. 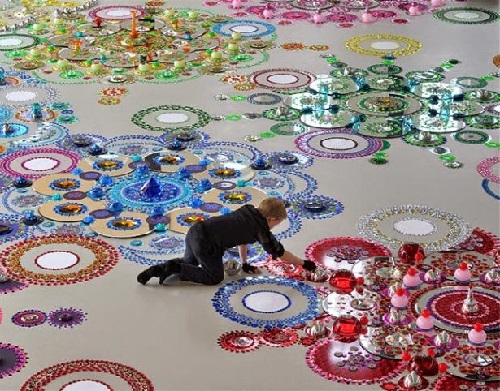 Thus, each installation forms a 3D carpet reflects the light in all directions. 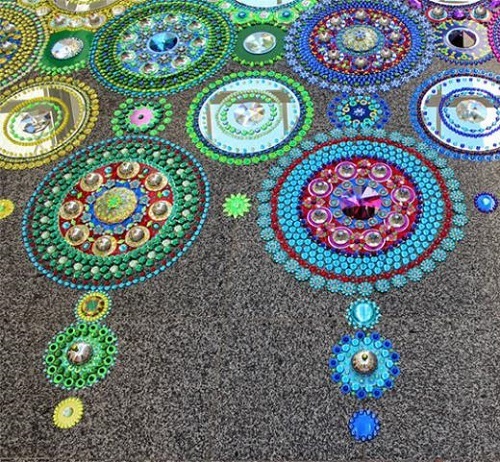 From a distance they appear clear and orderly, yet upon closer inspection, the eyes become disoriented by the many details and visual stimuli. 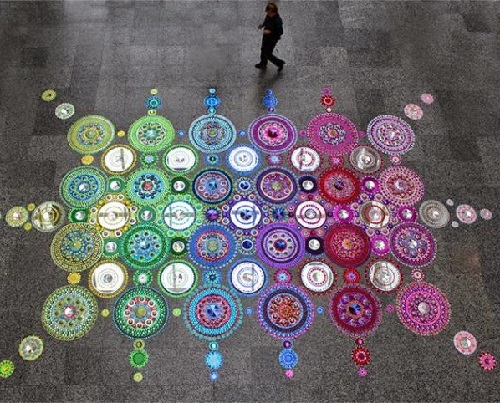 Mandalas spend very positive, creative, harmonious energy into space. 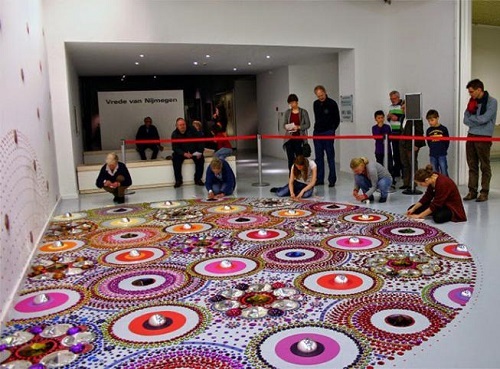 Given in a tense (tuned to military conflicts time) we live in, it is not surprising that for the harmonization of the planet various forms of art by creative people bring beauty and harmony into our world.